“No pressure, guys.” quipped Kelly. And that’s how things started with Garrett Warren, stunt coordinator for Ender’s Game. When you first see him, he’s a tad intimidating, since he sports an eyepatch, but once he starts talking you immediately realize what a warm and friendly person he is. While all the kids did great in the wires, Warren singled out Moises Arias and Aramis Knight out for being particularly amazing with the wires. Aramis, described by Warren as a “showboat on a wire” was all about doing flips and bouncing off the walls. Moises was particularly good at looking flawlessly weightless and really impressed the Cirque du Soleil acrobats that were on set as stunt doubles. They became so good that for the most part the stunt doubles ended up being there simply to teach them and help them adjust their harnesses. It was amazing to hear him talk about how what the kids went through was some of the greatest training he had ever experienced as a filmmaker. And this is the guy who was stunt coordinator for movies like Avatar and Real Steel. The fight incorporated MMA as well as Krav maga, but Hood insisted that aikido be very prominent as well, due to it’s artistic nature. I myself studied aikido for years, so when he started talking about how aikido is all about using the momentum of the attacker against them, it brought back a lot of fond memories and I suddenly felt inspired to return. Sadly, I haven’t, but there’s still hope for me, right? Fight sequences and training aside, he also mentioned that the steam in the film is all real. “That was a pain in the rear end.” he joked. He also mentioned that they did one continuous take of the shower fight from beginning to end, but obviously he had no way of knowing whether it would make it into the final cut. Even if it doesn’t, something like that seems to scream “DVD extra”, especially since Warren spoke so highly of the performances of Moises and Asa. 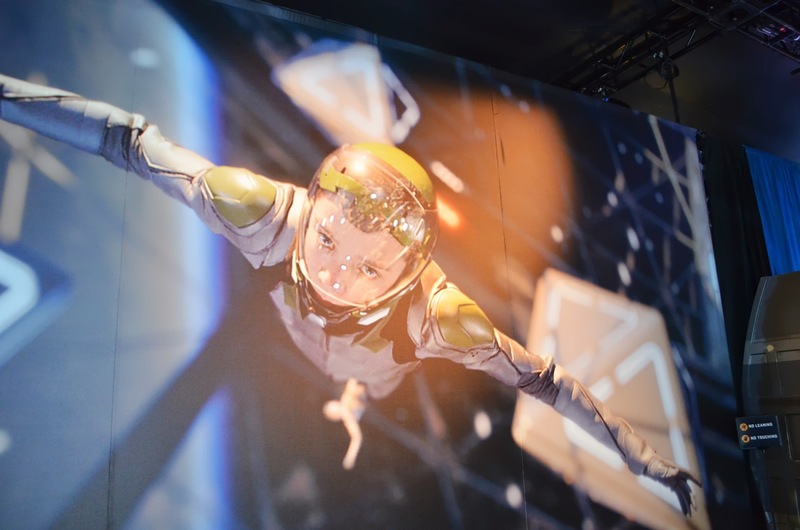 It was astonishing to hear just how many innovative things they developed for Ender’s Game. Warren assured us that at the time there was nothing else out there that could simulate weightlessness than the apparatus they’d developed, along with something called a lollipop. He even talked about trying to get a technical award from the Academy for their inventions. And that sure sounds like a familiar concept in the world of Ender Wiggin.